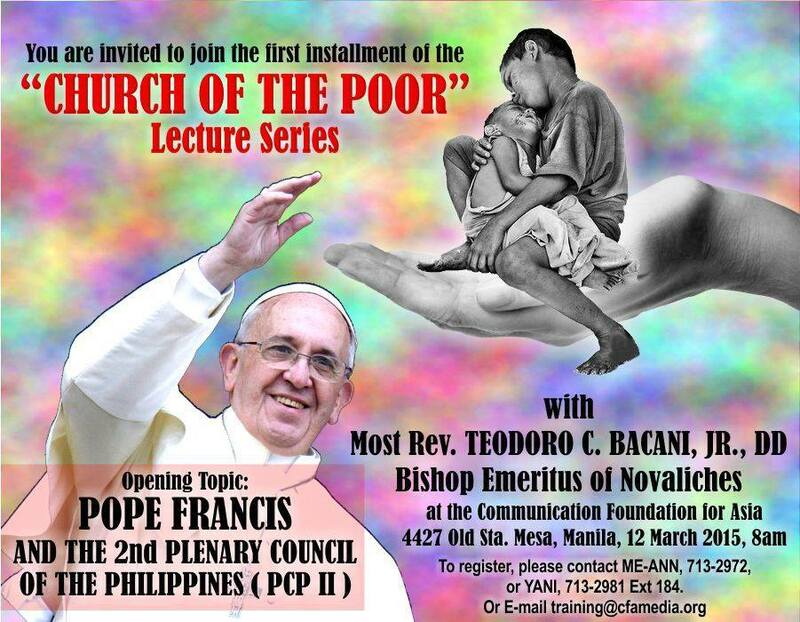 Communication Foundation for Asia would like to invite you on March 12, 2015 to CFA’s Church of the Poor Lecture Series – POPE FRANCIS AND THE 2ND PLENARY COUNCIL OF THE PHILIPPINES (PCP II). Registration fee is P500 (inclusive of 2 snacks and lunch). For reservation and inquiries, please feel free to contact us at 7132972. 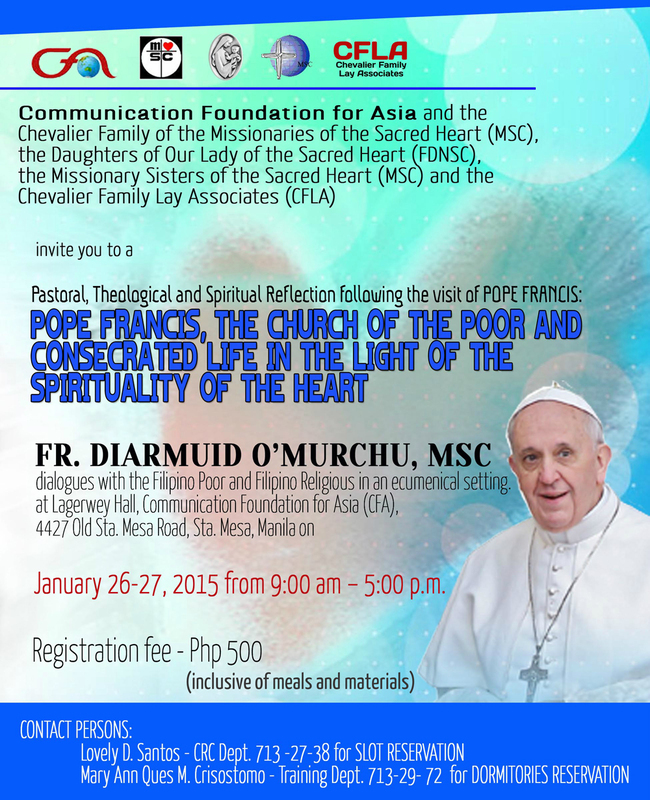 For further queries, contact us at 721-2981 to 85 loc. 163. You can also leave a comment down below or email us at cfamagazines@gmail.com. 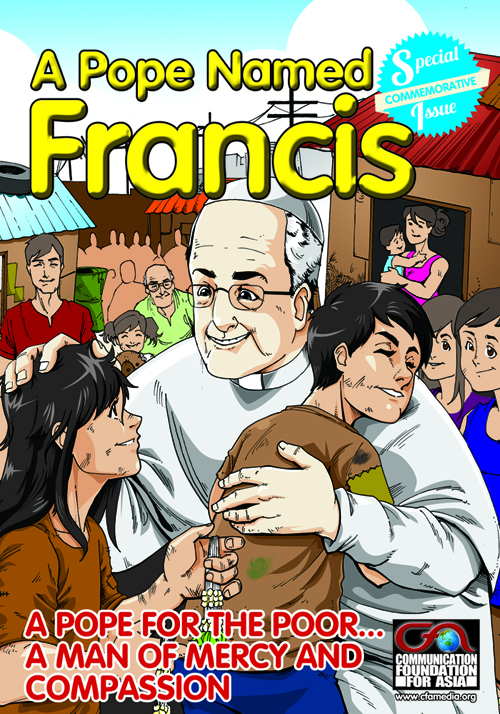 Kent Bryan G. Torres, Grade 8 student from St. Mary?s College of Catbalogan, Catbalogan, Samar, who proposed “Kabataang Courage and deep faith in God Faithful Service Abiding in and establishing unity, courage and hope to every person.” Stay tuned for other upcoming contests and activities.